A diner from Pasadena, CA tried it and liked it. They liked the food. A Korean chowhound from Newark, NJ tried it. 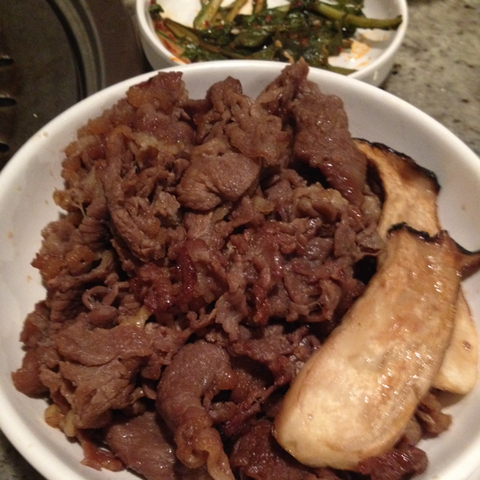 2 reviews of Gaon Korean BBQ, first by jay1565. These dishes from the Gaon Korean BBQ menu are contributed by Menuism users directly, as part of a restaurant review, or as part of a photo upload. Do you own Gaon Korean BBQ? Contact us to connect with your diners. Gaon Korean BBQ is located near the cities of South Pasadena and San Marino. People found this by searching for: Goan Bbq Pasadena Menu, Korean Bbq Near Pasadena, Gaon Korean Bbq Menu, Korean Bbq Pasadena, Gaon Restaurant Pasadena, Gaon Pasadena Lunch Menu, Gaon Pasadena Menu, and Gaon Korean Bbq.